A short weekend post with some of my favorite outwears in the most great delicious colours or bittersweet colours. Most of them are under $200 and all I know is that I need the light pink one soon! 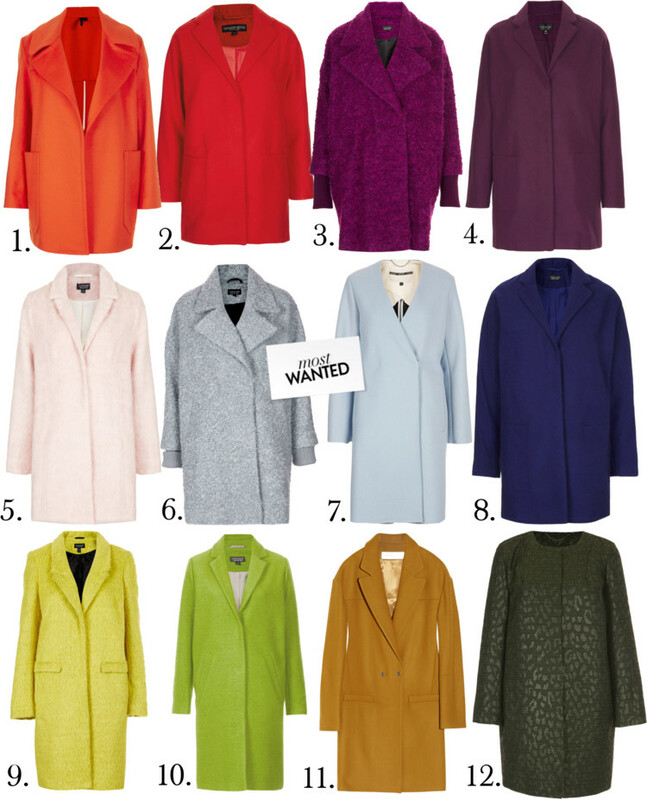 Isn't a coat the sartorial piece in your wardrobe during the cold season? topshop coat !!!! LOVE it !! Oooh, this is so great to see! I just made a pink coat so similar to these from a vintage Perry Ellis pattern. It’s rewarding to see that I’m on trend! Hope you get your pink coat soon! Wow this is a great collection of coats. I wanna have number 3! I am so in love with violet shades. 3, 6, 7 – WANT, NEED, PLEASE!